Filler: Tentacle tomato alien monster thing | Random moosages as I see fit. The other day I went to check up on my tomato. Ok, so I don’t normally go and check on my tomatoes to see how they’re doing. I went to go grab the tomato to use it in something. I forgot what I was making exactly. Probably just a sandwich. Anyway, when I grabbed the tomato, I noticed something weird. I somehow purchased a tomato that was incubating a tentacled alien parasite AND this parasite had decided that it was time to break free and go forth to wreak havoc upon the world. I especially like the small protrusions on the surface of the tomato where tentacles are about to burst forth in a shower of blood and guts (ok fine, tomato pulp…and not really a shower). Do you think this alien has laser powers??? 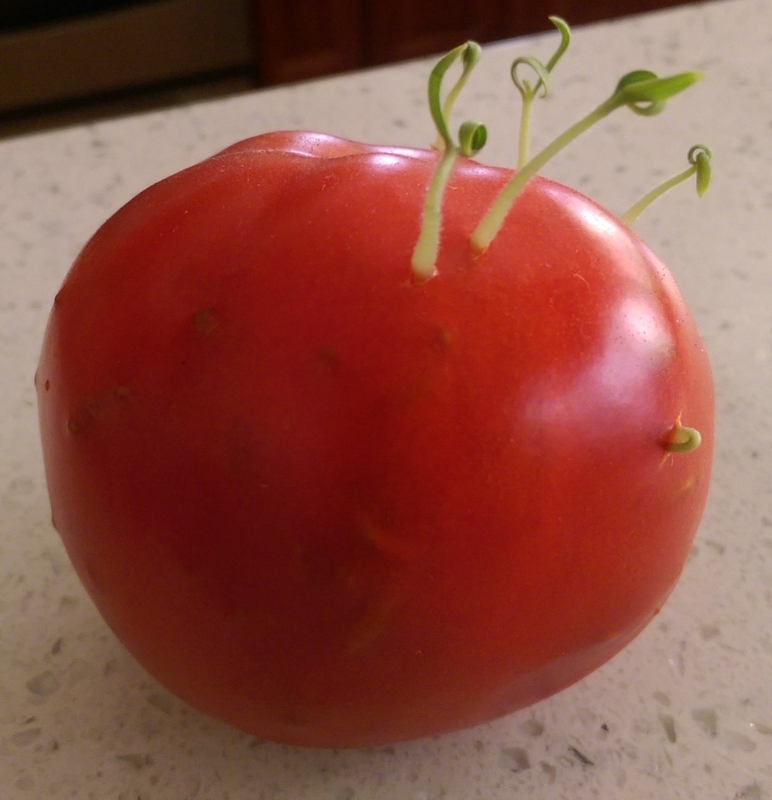 In other news, I’ve never had a tomato sprout before. I always though the next natural step in the process was just for the tomato to mold up and rot.